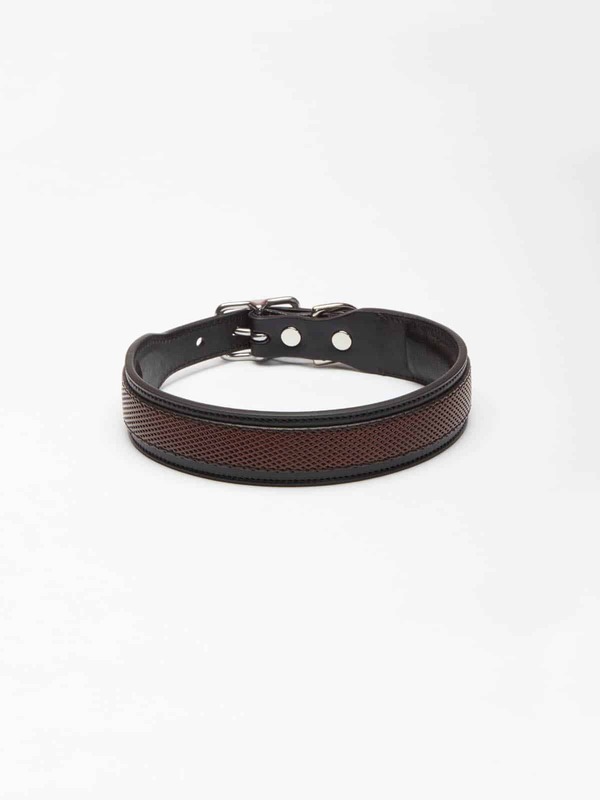 This dog collar is super soft, thanks to the padded lining, and is also durable. 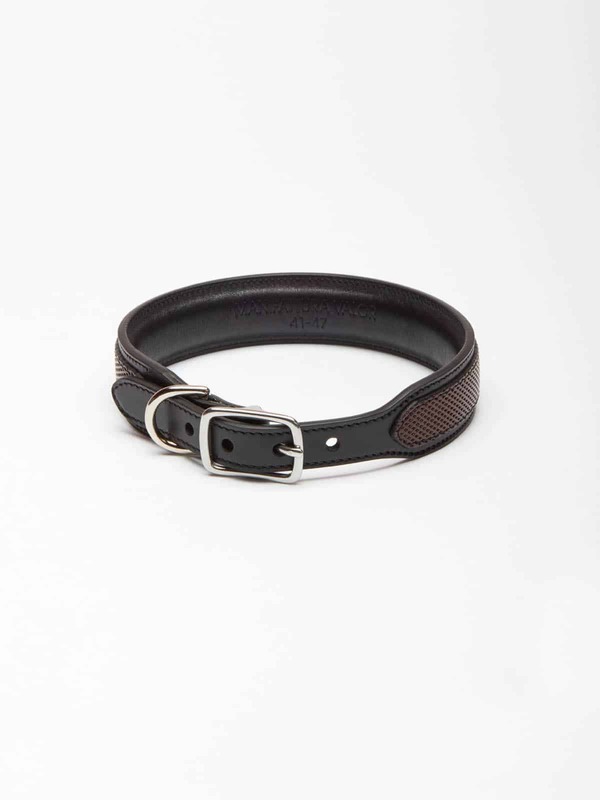 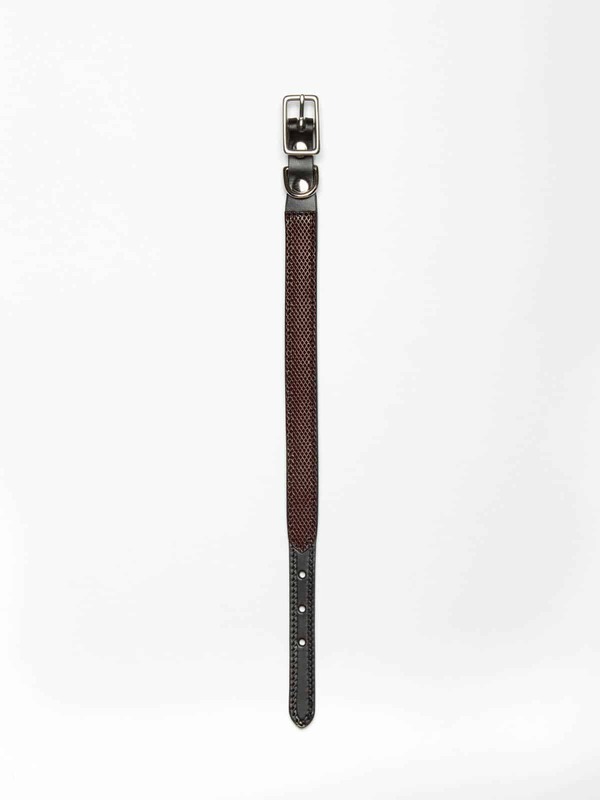 The material mix, made from high quality plied calf leather and the fancily trimmed ornamental leather adornment, give the collar AGORO a sophisticated and distinctive visual appearance. 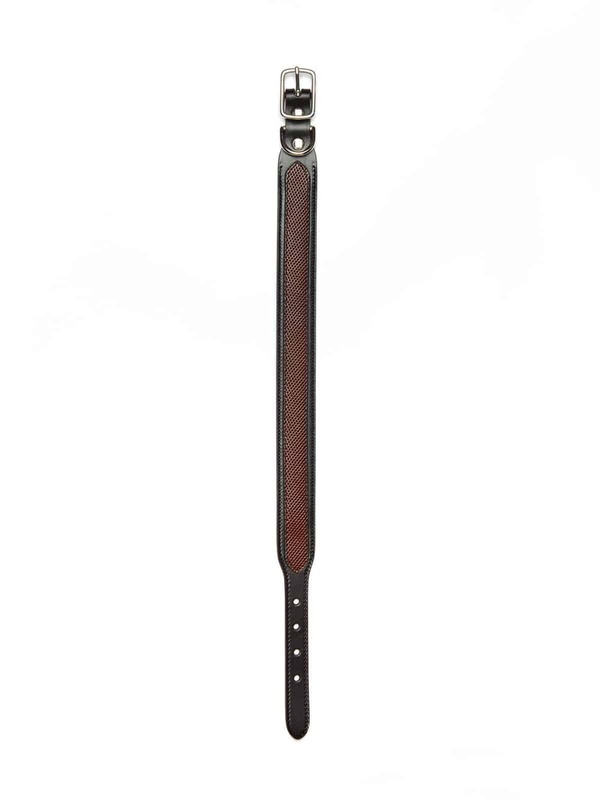 It can be combined with the dog lead BELLUNO and is multi-adjustable. 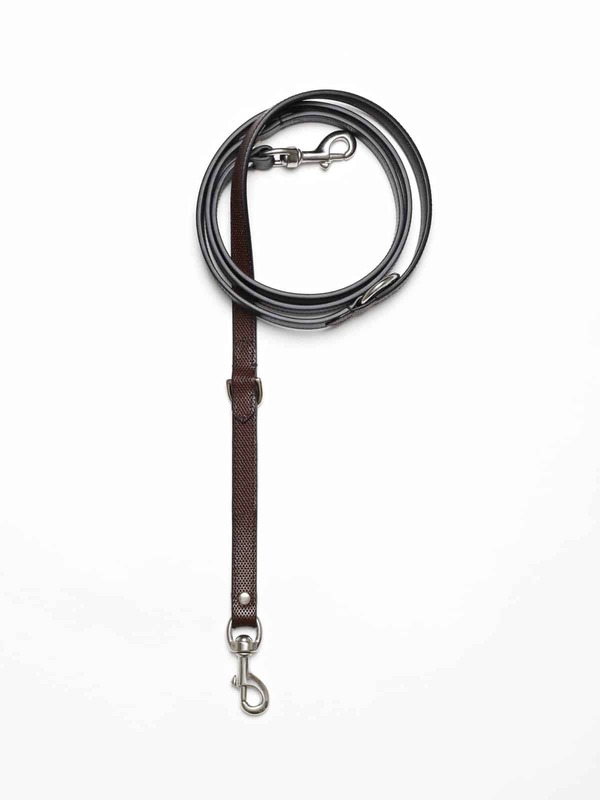 The collar was designed to complement the horse halter SALTO.